Rachel Stahle is an accomplished attorney who has significant experience litigating cases involving personal injury, nursing home neglect, medical negligence, and sexual assault and abuse. In 2015 and 2016, Rachel was recognized as a Missouri/Kansas Super Lawyer “Rising Star” by Law & Politics. In 2014, she was recognized as an “Up & Coming Lawyer” by Missouri Lawyers Media. 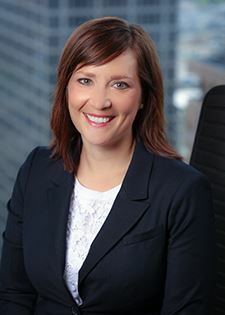 In addition to her trial experience, Rachel has extensive experience in depositions and mediation. She is an accomplished brief writer and is active in her legal community. Rachel earned her Juris Doctor at the University of Kansas School of Law. While studying there, she was elected articles editor for the Kansas Law Review. She also interned with the Paul E. Wilson Defender Project and participated in the Deposition Skills Workshop and Dean’s Fellows Program.